Jordan goes to Las Vegas for a weekend getaway for her baby sister's bachelorette party. Although, she has a great family and great friends, living a good life, she haven't had much luck with men. So laying eyes on Noah and falling for him, was the last thing she had in mind. From there, things would change and she would go into a roller coaster ride. I want to point out, Noah is a fighter pilot who is in Las Vegas for work. When one night his friends decides to go out for a night on the town, he will meet the girl that will challenge him. Fly With Me was sweet. I loved reading how Jordan and Noah learned the importance of life. Life is not about parties, it's about being with your loved ones. I loved how they challenged each other. To truly learn what they want and go for it. Noah without a doubt knows he doesn't want to lose Jordan but he doesn't want her to regret her decisions. He doesn't want her to give everything up for him. Jordan will have to make a choice, whether she will go back home or stay with Noah. Will she decide to stay with Jordan? 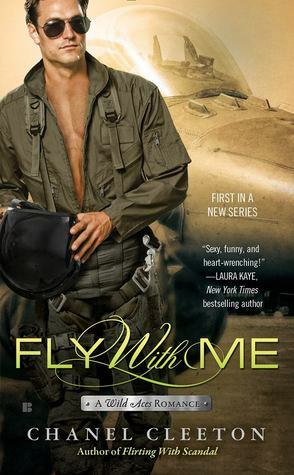 Fly With Me is a military themed story with some badass fighter pilots. We learn that there are men that will prefer spending time with different woman, while there are some who would like a woman to spend the rest of their time with them, which Noah is. This is a story where a love starts at a nightclub but the sparks and chemistry is real and things will get serious. So serious that one will eventually make a big decision. Would one dare to leave everything for someone they just met? Is love that crazy? Find out with Fly With Me.